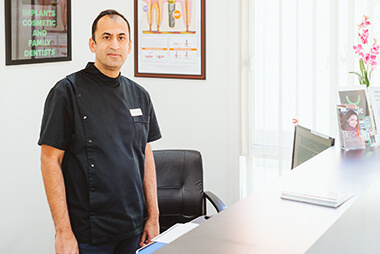 Looking For A Trusted Modern Dentist In Bundoora? Achieve the look you’ve always dreamed of at Smile Creation. Whether you need a routine checkup or want to make your smile, we’ll help you with state-of-the-art equipment and techniques. We offer general dentistry, cosmetic dentistry, orthodontics and more to help your smile stay healthy and bright. We’ll help you achieve the smile you want, offering solutions for everyone, from children to adults. Health fund member? Get a GAP-FREE dental check up! Call (03) 9467 5548 now! Let us help you get your perfect smile. Call (03) 9467 5548 today! Your health fund coverage will be processed on the spot so that you receive your rebate immediately. Same day and evening appointments available for your convenience. Call (03) 9467 5548 now to book in! Expert Dentistry When You Need It – We Can See You Today!